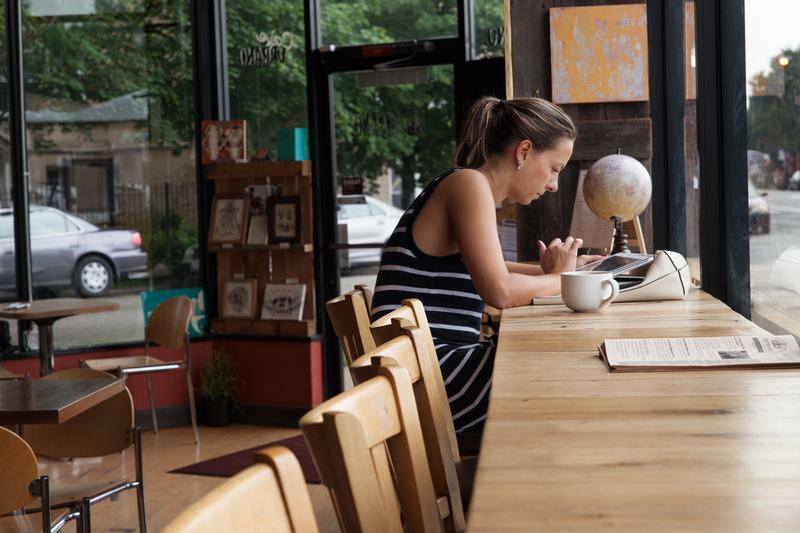 Lots of new coffee shops have opened in Chicago lately. 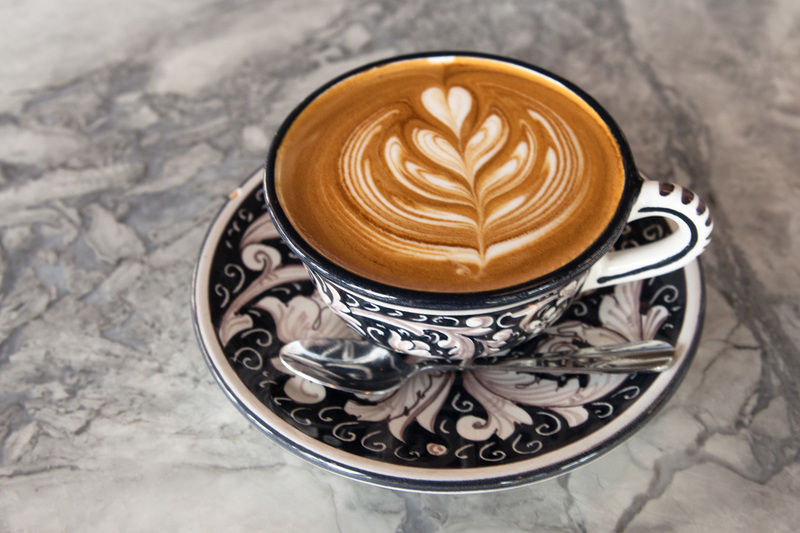 Here are 12 spots for your next caffeine fix. 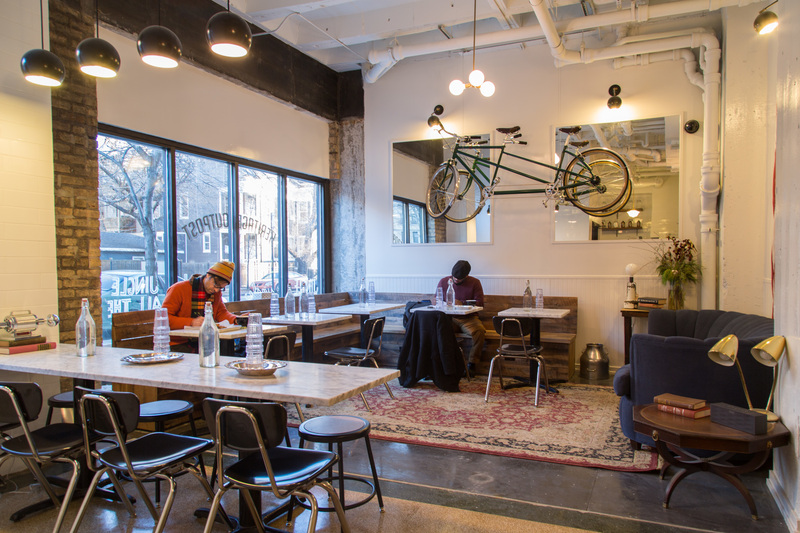 Photograph: Grace Allen Chicago Grind is a newly opened coffee shop in Chicago. Chicago keeps getting more and more new coffee shops, which are everywhere from hotels in the Loop to theaters to tucked in the back of cocktail bars. If you're looking for cold brew, we've got it. Pour-overs? We have that too. We visited 12 new coffee shops ranging from old favorites with new locations to brand new spots quickly making a mark—here's where to get your next cup of coffee. 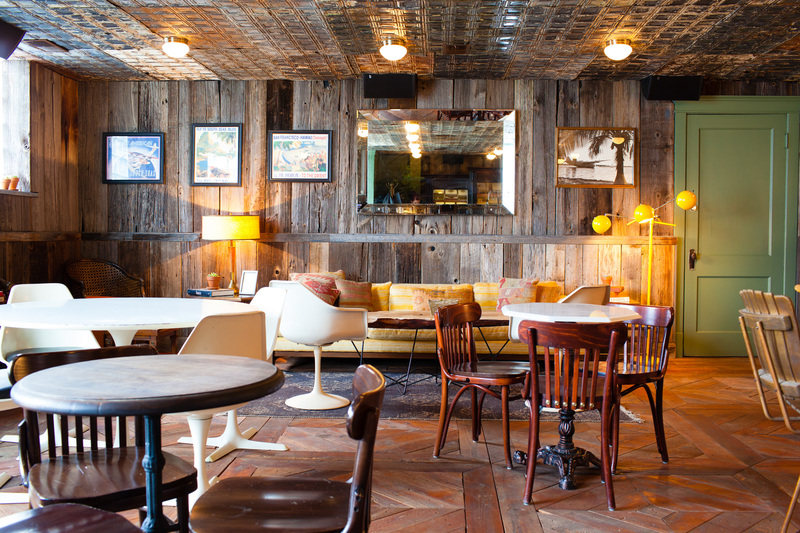 The coffee shop in the cool, new Freehand Hotel is the second outpost of Cafe Integral. The first is in New York, and like the original, the Chicago spot specializes in Nicaraguan beans. The coffee menu is pretty simple, with drip, pour-over and espresso drinks, like an excellent latte. There's a tiny bar with uncomfortable stools or a large table to spread out and work on free Wi-Fi. Your other option is to meander into the larger lobby and relax on the couches there. It's dark, but a more comfortable spot if you're eating, and you should—there's a small but thoughtful food menu, with mostly breakfast items, salads and toast, including an avocado smash, toast piled with shaved radishes, sprouts and pickled shallots. 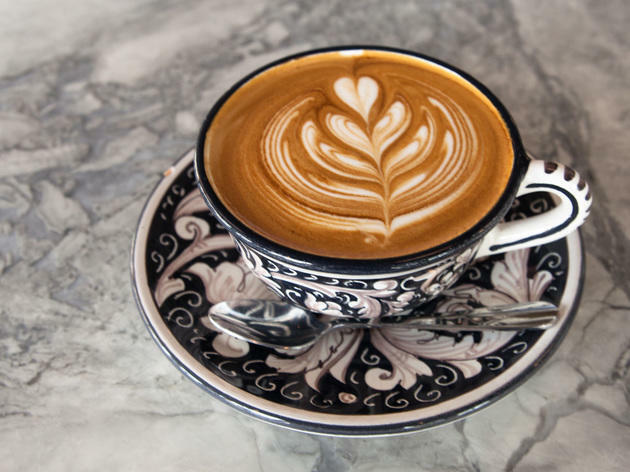 For a Mexican spin on a coffee shop, head to Cafe Urbano, which focuses on Mexican heritage in its decor, coffee and food. The space is bright and open, with wooden chairs and tables throughout, including high-top chairs by the windows, an ideal spot to work on free Wi-Fi. The walls are graced with Mexican-themed art from local artists, which rotates as artwork is purchased. There's an extensive coffee menu, with beans from Metropolis, including drinks like a turtle mocha and raspberry latte. 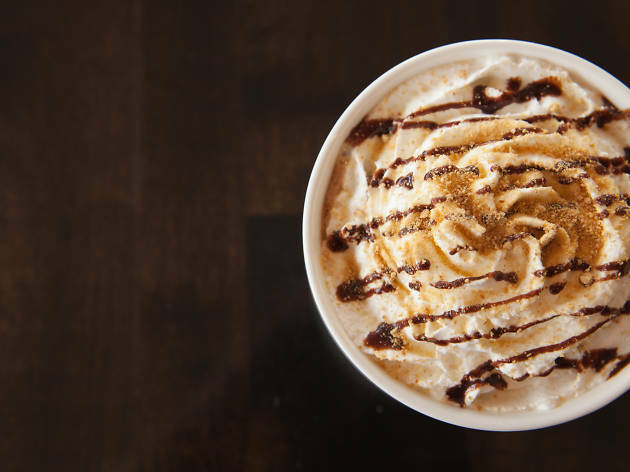 But the real standout here is the Abuelita Mocha, which is made with Mexican chocolate, giving it a rich flavor and some spice. For food, the menu includes egg melts, panini and tostadas, including an outstanding tostada frittata, a traditional tostada topped with scrambled eggs, queso fresco, tomatoes and avocados. They also have sweets, including macarons and muffins from La Boulangerie. 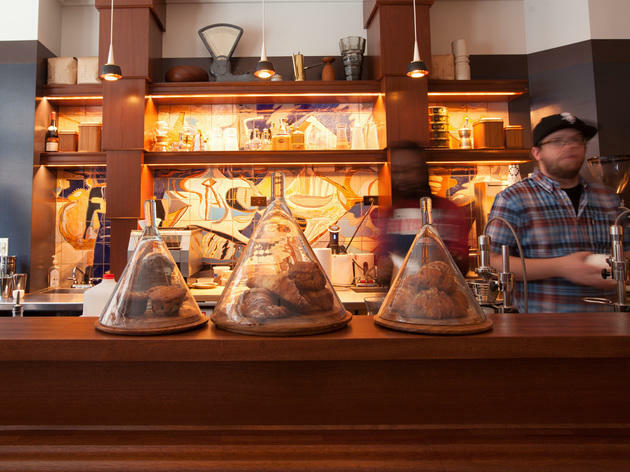 What does a Brendan Sodikoff coffee shop look like? Exactly what you’d expect—there are Doughnut Vault doughnuts, espresso drinks and Rare Tea Cellar teas, plus boozy steamers, spiked steamed milk drinks last seen on the menu at Dillman’s, Sodikoff’s now-closed Jewish deli concept. The nutty Scotch & Honey is made with Famous Grouse, almond and honey, and it’s just as enjoyable to sip it while working on free Wi-Fi or perusing the art books stacked around the cafe as it is after dinner. 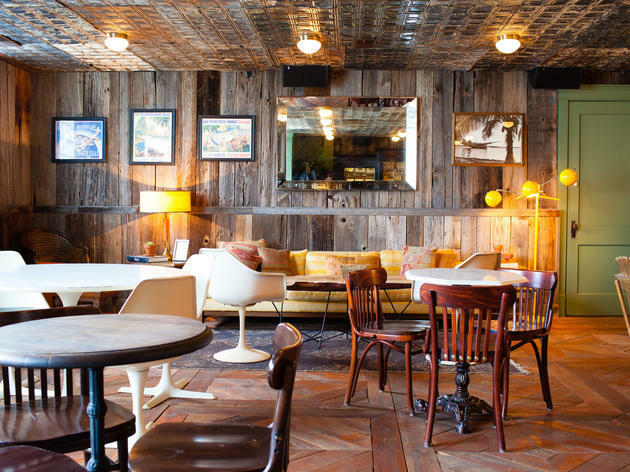 The space, located behind the California Clipper, which Sodikoff owns as well, has a Bohemian vibe with mismatched furniture, but a humidor and bourbon bar keep this place feeling like a Sodikoff joint. 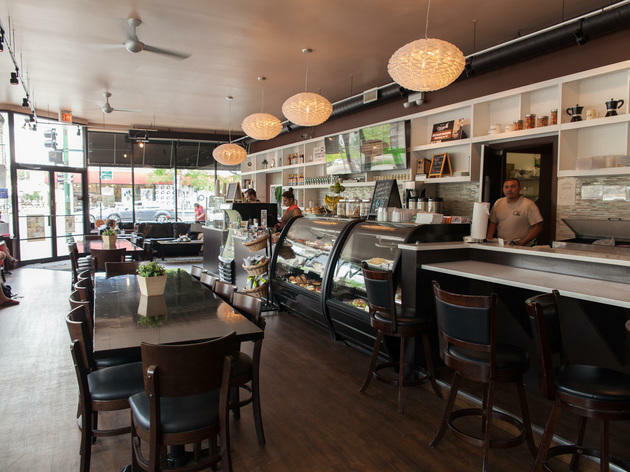 The Chicago Coffee House, a quiet little coffee shop in Irving Park, opened in February 2015 with its own roasted coffee beans and other local products. The shop is small, with only two tables, three seats at the window and three booths, while the brick walls and fireplace give the space a cozy feel. Log onto free Wi-Fi and sip espresso drinks like lattes and mochas. The menu is simple, with fruits and bagels from a local grocery store, but what sets this spot apart is the gelato, which comes from Illinois' Angelo Gelato Italiano and includes flavors like tiramisu, espresso, lemon and chocolate and comes served in a large glass with a cherry on top. 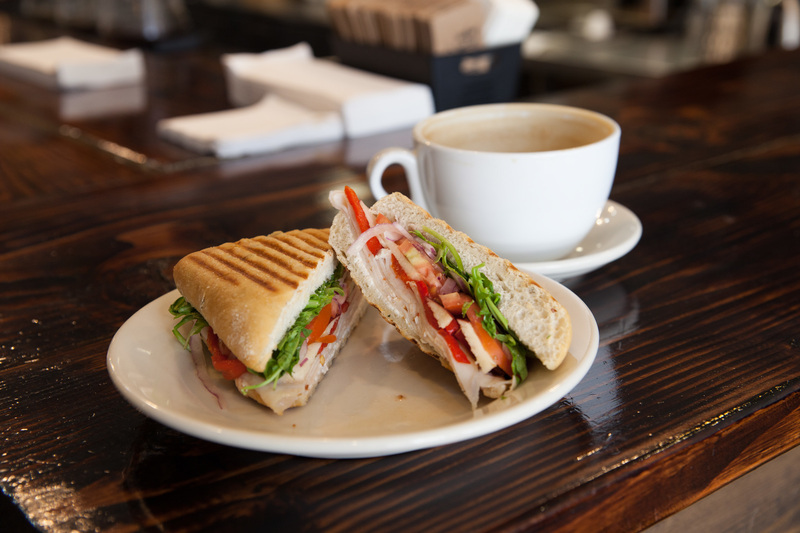 Chicago Grind is ideal for people who can't decide what they want from a coffee shop. Want espresso, frozen coffee or smoothies? Grind gets its beans from local roaster Bow Truss. Hungry? There's a large food menu, with breakfast, sandwiches, salads and sweet treats, including scones and muffins. The portion sizes are large, making meals perfect for sharing, like the Santa Monica flatbread, with scrambled eggs, cheese, avocado, tomato and cilantro, which was light and balanced. The shop is wide and open, with plenty of seating at two-tops, a couch or armchairs. 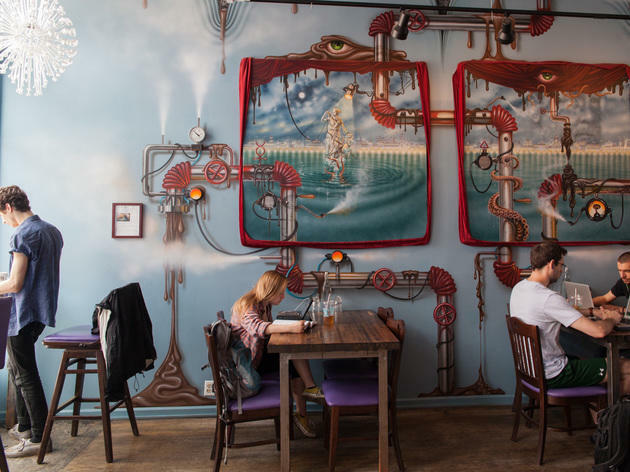 Walls are decorated with coffee-related art and products, and it's a great place to work when you're in need of free Wi-Fi and your daily pick-me-up. Located in Wicker Park's Den Theatre, the Coffee Haven is large and open and makes you feel like you stepped onto a theater set. It has dark brown colors, Victorian-era furniture and dozens of framed portraits on the wall. It's a cozy place to work all day, since there's free Wi-Fi and soft music playing, or to grab a caffeine jolt before a show. The coffee comes from Two Brothers Brewing Company, which got into the coffee game a couple years ago. 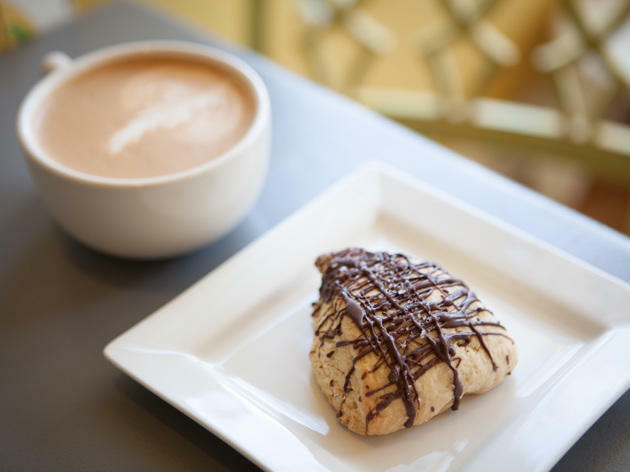 Pair your coffee with sweets like muffins, scones and doughnuts from local Roeser's Bakery. 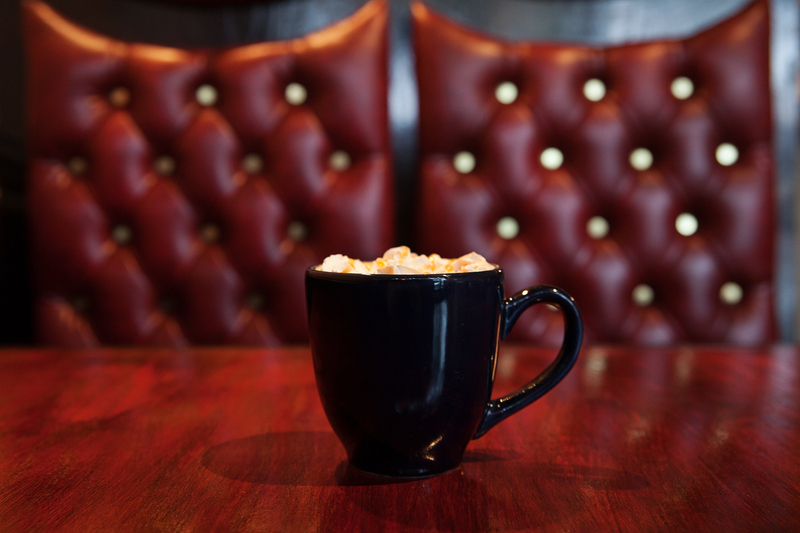 If you're looking for a pre-show drink, this coffee shop serves boozy Irish coffee and hot cider with spiced rum, plus the beer selection includes Two Brothers, PBR and Guinness. The little brother to Heritage Bicycles, Heritage Outpost in Uptown focuses exclusively on its own roasted coffee. 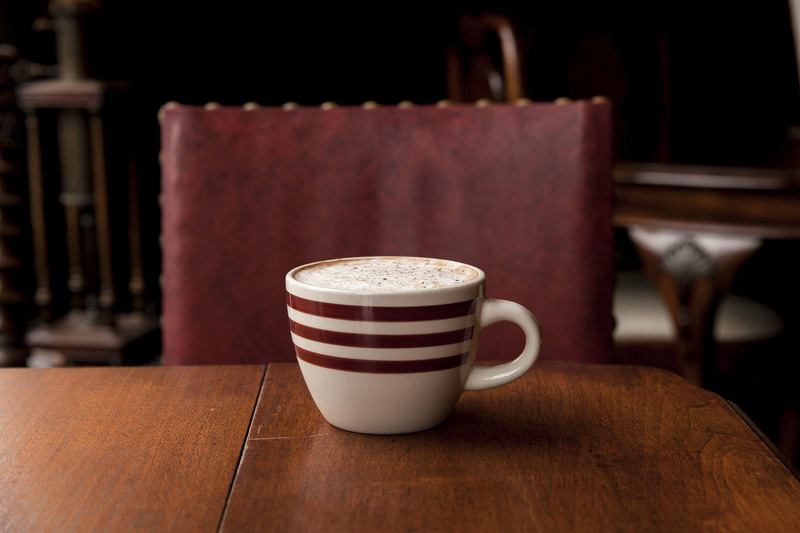 The coffee options are straightforward, with drip coffee, lattes and other traditional drinks. The drip coffee was smooth and blended savory and sweet flavors together; however, in other drips like the Legacy Espresso, Tres Santos and Anjilanaka, you can taste hints of red apples, apricot and other sweet flavors. The food menu changes daily but you can expect muffins, cookies, scones, quiche and a variety of gluten-free, vegan and vegetarian options, all from Southport Grocery. If you head in on the weekend, you'll find doughnuts from Somethin' Sweet available too. 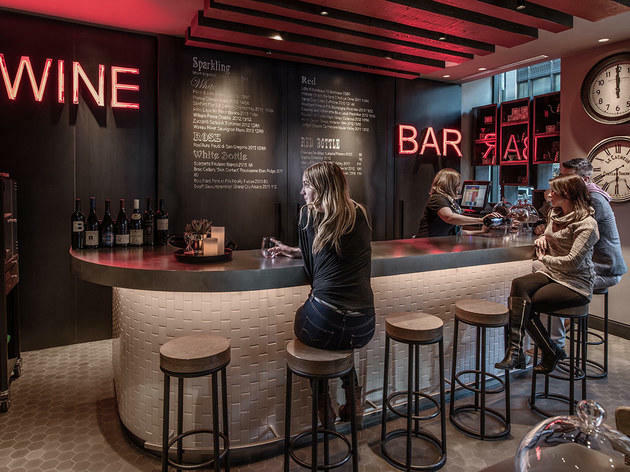 Even though it’s located in the lobby of an apartment building, the space has a rustic charm and similar décor to the original store, such as a bike hanging on the wall and a wooden counter to match the original store's. The shop also features a walk-up window for bikers, dog-walkers or anyone on the go. HERO Coffee Bar is tiny, with just five two-top tables and eight seats at its coffee bar, so consider this a spot for meeting a friend, not pounding on your laptop. HERO offers pour-over coffee, made from beans roasted once or twice a week so it's always fresh, along with drinks like the honey nut latte or the sweet basil latte, with two shots of espresso, basil syrup and cayenne pepper. The drink is sweet, with a surprise kick from the cayenne. There are substantial snacks, like sandwiches and bagels, including the cutely named Fig, Nut Of Your Imagination Bagel, topped with a tasty combo of almond butter and fig jam. 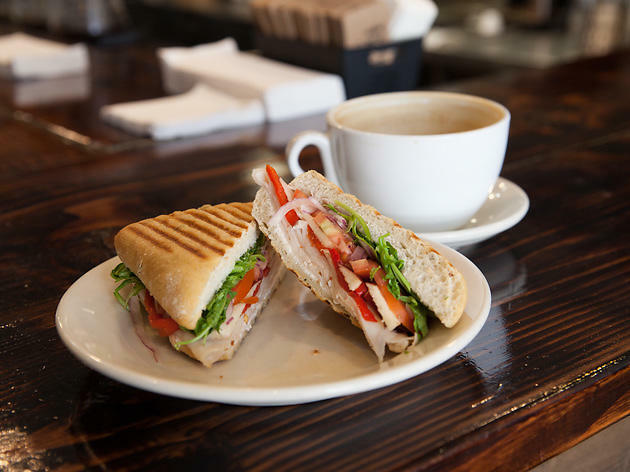 With its third Chicago location, Philadelphia-based La Colombe continues to win us over with great roasts. They aren't serving up anything too different, but they're sticking to what they know—great roasted coffee. 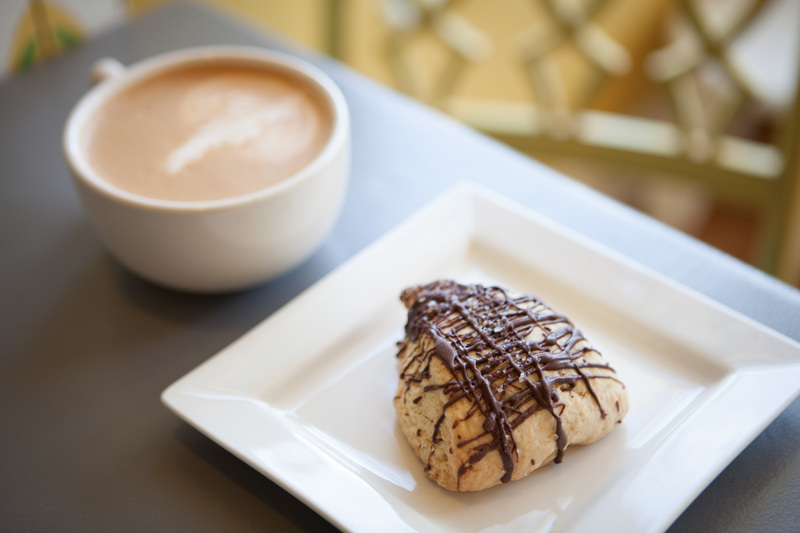 Grab a pastry from Floriole, like the chocolate almond or ham and cheese croissants, or from Baker & Nosh, like the oatmeal chocolate cookie or bacon asiago chive scone, then relax in the open, bright space. There's a mix of wooden benches, stools and tables, and since there's no Wi-Fi, it's ideal for spending an afternoon catching up with friends. 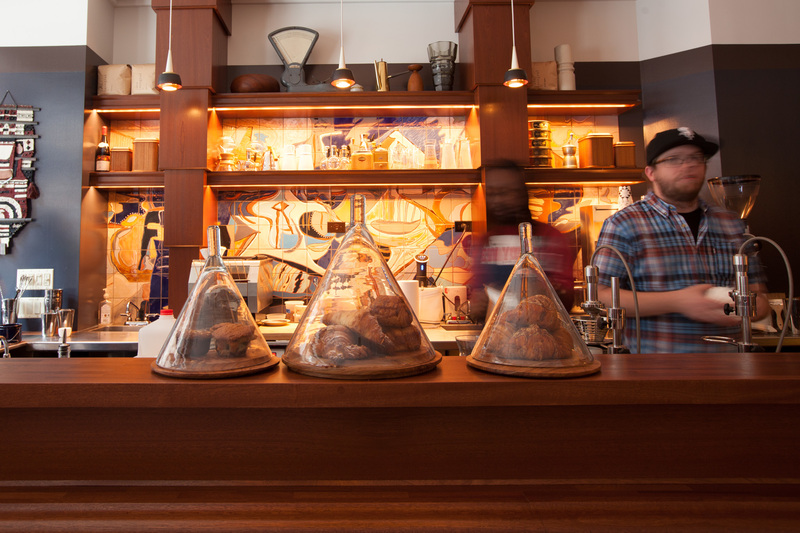 Dark Matter coffee expanded its reach north in July 2014, with the opening of Osmium Coffee Bar in Lakeview. 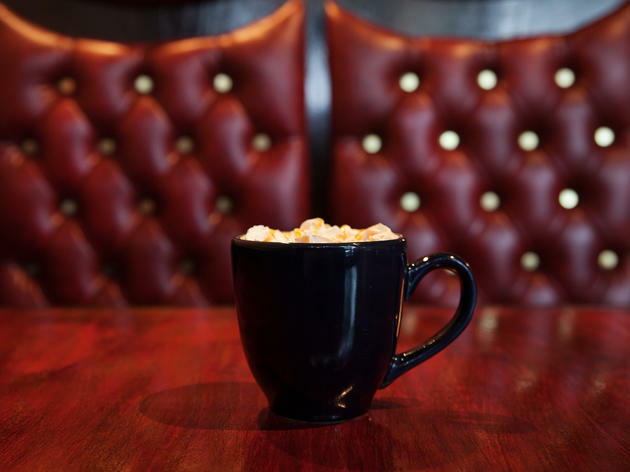 Like Star Lounge, Dark Matter’s West Town location, you can expect the basics, like pour-over and espresso, plus specialty lattes, like the agave latte, which is lightly sweet and well-balanced between agave, cinnamon and chocolate. If you're looking for a treat with your coffee, West Town Bakery provides croissants, pecan sticky buns, cinnamon rolls and other pastries. The shop is also using Dark Matter's Unicorn Blood in toffee bark. Plus, there’s a rotating list of doughnuts from Do-Rite Donuts (we like the buttermilk old fashioned). The space accommodates both people working on laptops on free Wi-Fi and those hanging out with friends. 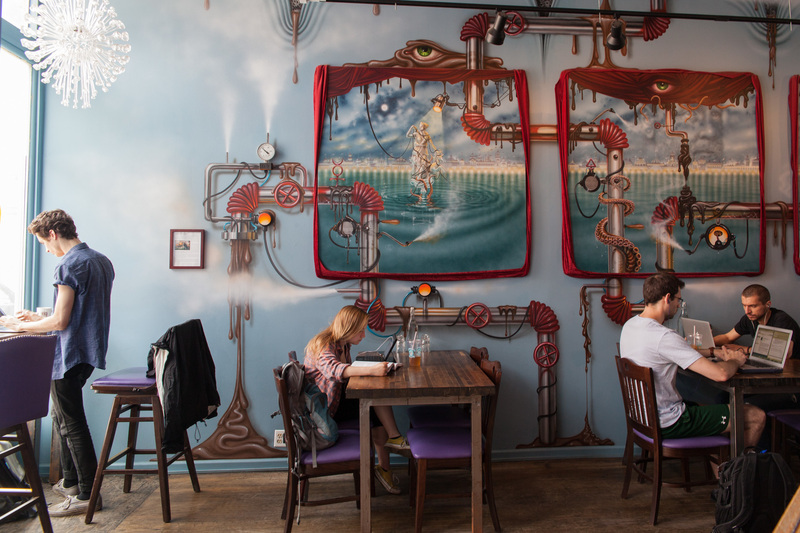 The décor is quirky and funky—there’s a painting of pipes running through the ocean with squid tentacles wrapped around them. 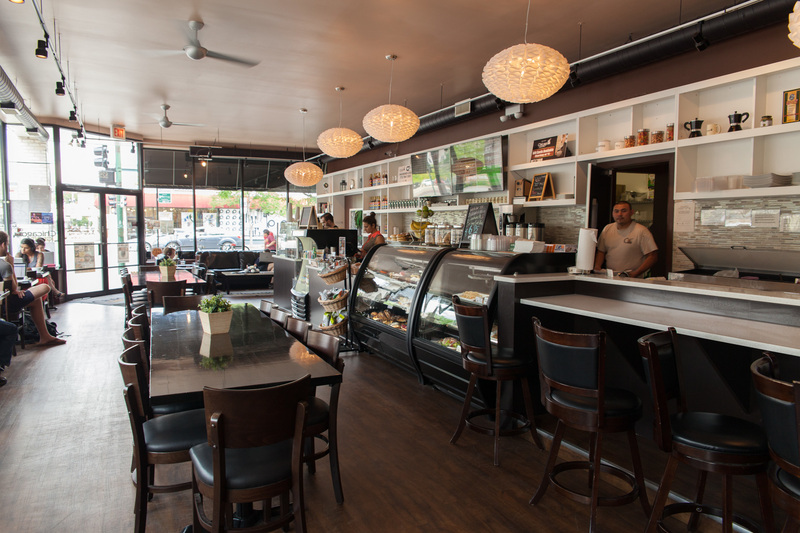 Perkolator opened in Portage Park in September 2014 with its own coffee blends—which the coffee shop will roast themselves next door by the end of 2015—and a small food menu. Everything here is local, with bakery treats like lemon bars, bread and scones from Sicilian, Delightful Pastries and Fannie Schmoe’s. The sandwich meat is from Szymanski, another Portage Park staple, and is the star of the signature sandwich, the Cubanski, the shop's twist on a Cuban with freshly smoked meats. 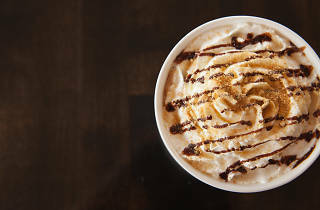 There’s plenty to drink, from espresso drinks to specialties like a spicy mocha, which blends cinnamon, chilies and chocolate for a real pick-me-up. 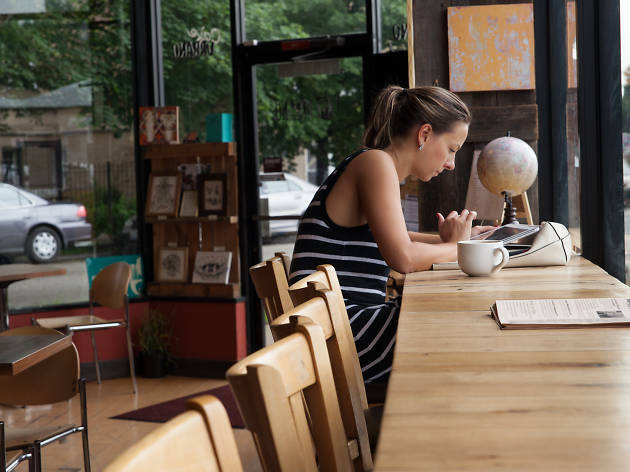 There's a retro vibe, with mismatched furniture and brightly colored walls—think '90s coffee shop with 21st Century amenities, like Wi-Fi. 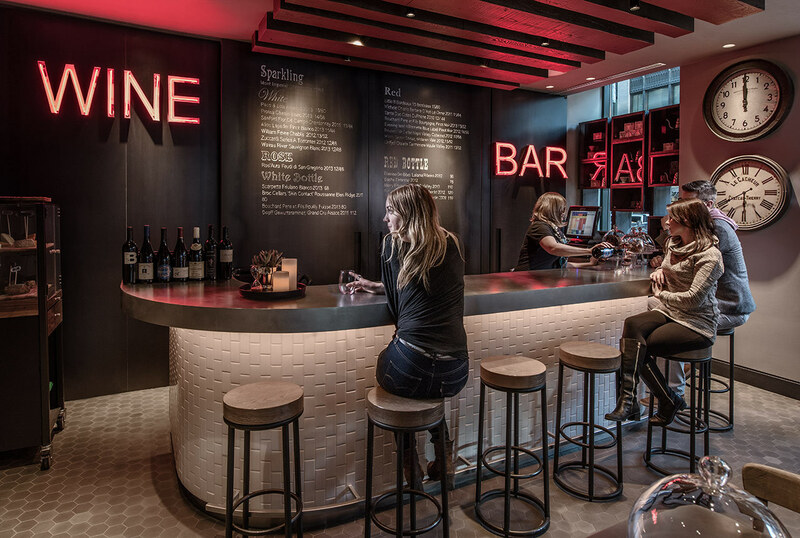 Two Zero Three, the hybrid coffee shop/wine bar in Chicago's new Virgin Hotel, is a slickly designed spot, with silver counters, sofas and wooden tables. 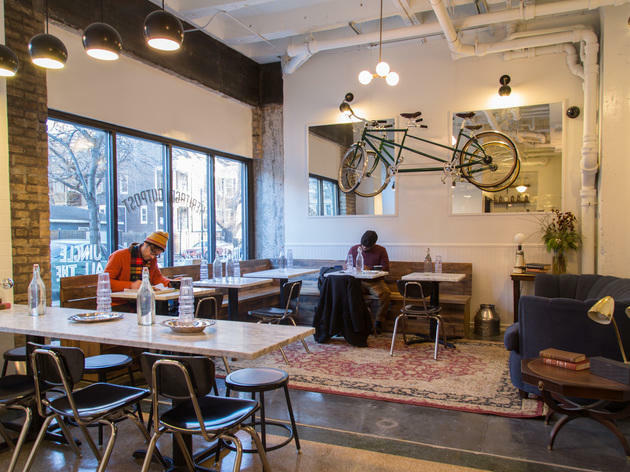 By day, the staff serves drip coffee from local roaster Bow Truss and espresso drinks, plus offers free Wi-Fi. For snacks, Two Zero Three serves housemade baked goods, including muffins, scones and cupcakes, and there’s a small case for cheese and charcuterie, along with a display case for Shinola products, which hints at the attention paid to design at this hotel.